﻿We are the experts. Period. 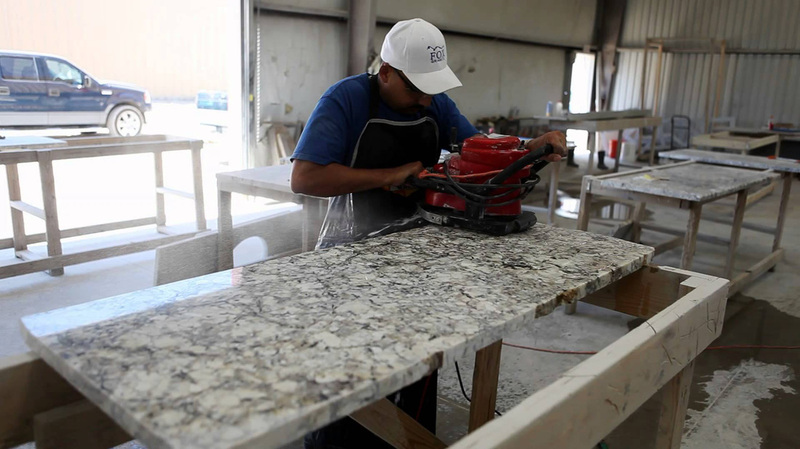 If you are in Rockford, Illinois and you need a natural stone counter top, you should do some due diligence. And that means getting a few estimates, getting some references, etc. So make a phone call to us part of your due diligence. I don't believe in flashy showrooms, or expensive sales people. This website is as fancy as it gets. ​All that other stuff looks nice, but costs money. And that extra fluff just gets tacked on to your granite counter top price. It's the truth. We believe in providing great service at great price. Honest, hard working. But we didn't know that. So it was a struggle, I'm not gonna lie to you. We survived. We got strong. We figured that if we provided excellent craftsmanship, above average service and kept our granite prices low, we'd have a chance. So that formula helped us then, and continues to help us now, almost a decade later.